Many consider India to be one of the most beautiful places in the world. India has strong heritage, majestic beaches, and beautiful architecture. India is also a great place to visit if you care about protecting the environment. Travel Triangle recently wrote a great article on 10 states in India that are promoting eco-tourism. It is home to some of the largest mountains in the world, which is why millions of tourists visit India annually. Many people also visit India because of the country’s rich spiritual history. India is a great place to go if you’re looking to rediscover your spirituality, take up yoga, or visit a meditation retreat. India is also known as the birthplace of Hinduism and Buddhism, two of the world’s largest religions, which is an important part of the country’s history and culture. Religion, spirituality, and the people of India will forever be intertwined. The country is also very progressive and has become extremely modernized in the past 20 years. The country also has a very easy to understand currency system, so if you’re vacationing in India, and run low on money, you can easily have someone send money to India. India continues to embrace the western culture, which is why India is the second largest English-speaking country in the world. India is home to the highest mountain ranges in the world, including the Himalayan Mountains, which has over 100 peaks that stretch as high as 22,000 feet. Mount Everest, measuring at 29,000 feet, is not only the Himalayan Mountain’s highest peak, but it’s also the highest peak in the world. The Himalayas is also home to some of the world’s largest river ranges, including The Brahmaputra and The Ganges. India is also home to other mountain ranges, including The Eastern Ghats, Pir Panjal Rage, and The Aravalli Range, which is considered to be the oldest mountain range in the world. Many tourist destinations with great mountains are offering eco-friendly travel packages. Ladakh is one of them. The Leh Nutrition Project and Ladakh Ecological Development Group created a travel package to help people visit the Himalayas in a more eco-friendly way. When a person thinks of India, one of the first things to come to mind is usually the Taj Mahal, which is considered to be one of the Seven Wonders of the World and one of the country’s most iconic symbols. The Taj Mahal was built by Emperor Shah Jahan, as a memorial to his beloved wife, and has grown to become one of the most beautiful most recognizable pieces of architecture in the world. 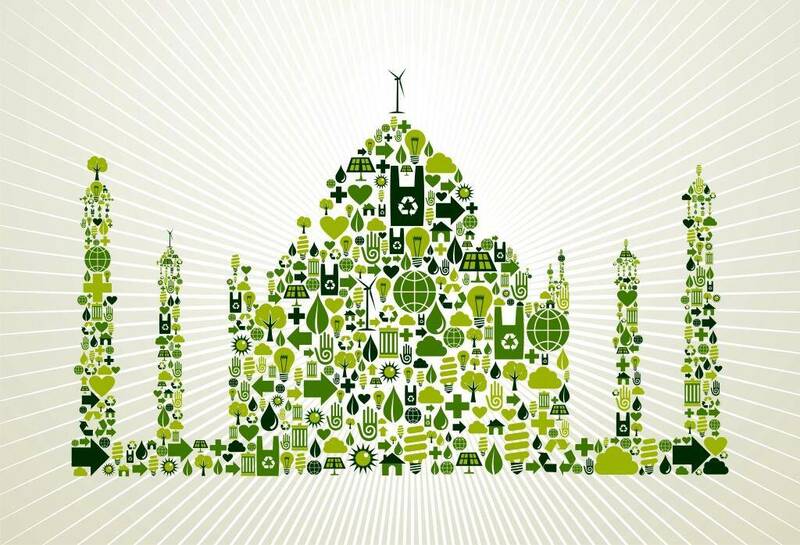 The Taj Mahal is another major destination that is committed to eco-tourism. This is a recent change they made to respond to a growing number of tourists that want to live environmentally friendly abroad. India has some of the most delicious foods, fresh, rich in spices, and is home to some of the most appetizing varieties of curry in the world. The smell, the taste, Indian food is a great way to wake up your taste buds. If you visit India, there are some dishes you have to try, including, a Kati roll, which is a wrap, filled with fried egg, onions, and marinated chicken. It’s pretty easy to find, Kati rolls, are served by street vendors all over India, but if you’re in the mood for a sweet and savory snack, you might want to try, Pani Puri, which is one of the most famous snack foods in the country, there thin, crispy pull balls, that have a sweet, yet spicy taste. 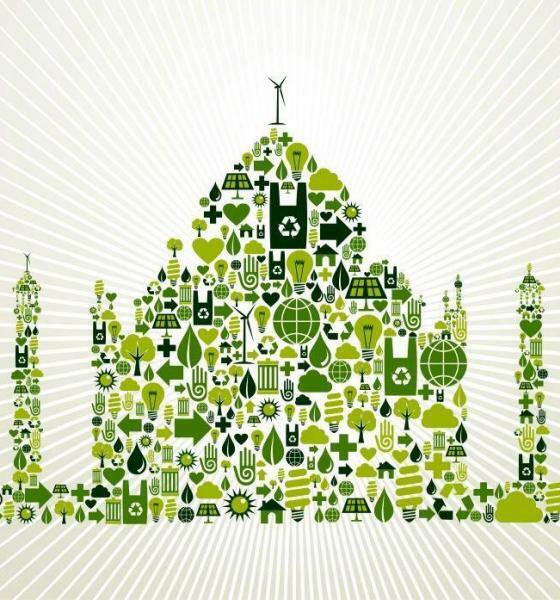 Sustainability is another great reason to eat Indian food. Since it is an overwhelmingly plant-based diet, it is good for the environment as well. India is one of the most religiously spiritual places in the world, its home to Buddhism, Hinduism, and Sikhism. Many people travel to India for a spiritual awakening, which gives them a chance to embrace or rediscover their spirituality. India is also home to the Ganges River, which stretches from the Northern Himalayas to Bengal. It’s also considered to be the holiest river in the world. Hindus often visit The Ganges River just to be able to take a dip in the river, which is believed to be able to purify your soul and deliver your prayers to heaven. People that believe in spirituality should consider the mindset that this puts them in. They will be less likely to live decadent lifestyles that leave a large carbon footprint while meditating or participating in a spiritual awakening. India has some of the most diverse architecture in the world. It’s the only place where you’re able to visit a palace, mosque, and a temple all in the same day. The country also has plenty of beautiful modern architecture you can visit, including the Lotus Temple, The Bombay Art Society, or the Imperial, which stands over 60 stories high and is considered to be the tallest building in India. Many of these groups are also eco-friendly. India is one of the few places where you spot tigers and elephants roaming freely in the wild. If you’re an animal lover, then you’ll love India. The country is home to many exclusive species, which are only found in India, including, Snow Leopards, Asian Elephants, Chital, and Indian Rhinoceros. India strives to protect their wildlife; there are over 120 national parks and more than 470 wildlife sanctuaries throughout the country. Watching the wildlife will help you see how important it is to live an eco-friendly lifestyle. If you are concerned about living an eco-friendly lifestyle while traveling, India should be a great place to check out. There are a lot of great destinations that you can visit while leaving a small carbon footprint.